Just regular folks. : Suit, Chinese test, cable solution. Vince is rocking Jeremy's all black suit. 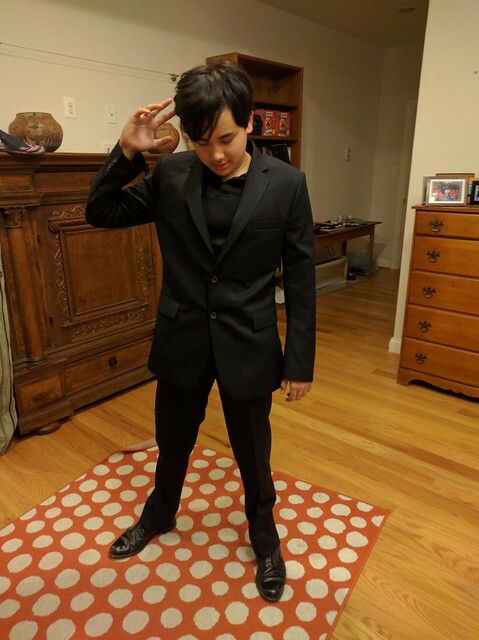 He needs a suit for next week's orchestra performance. All I had to do was order the bow tie. Those are the shoes Jeremy wore at our wedding. They are too small for Jeremy now (somehow he grew a shoe size or he bought these slightly too small), but they will do for Vince. Two goofballs studying for a Chinese exam tomorrow. Saving us from ourselves. 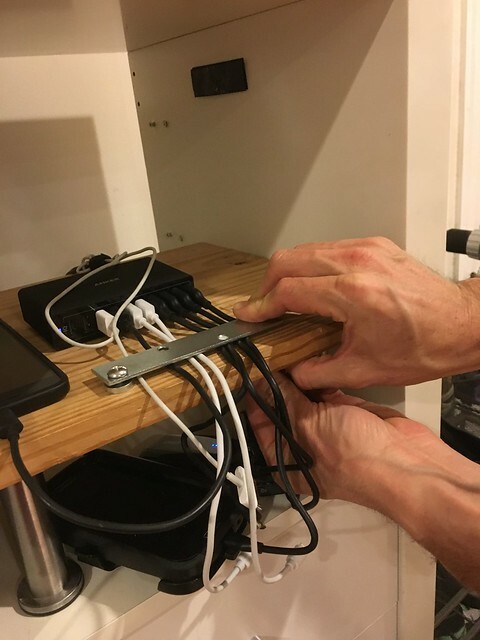 For years, we've had this central charging station that always gets decimated - we pull wires from it when we can't find our other wires and then when you need a particular charging wire, it's gone from its proper place. Today, Jeremy bought a 10-port USB charging box and semi-permanently attached the wires so that none of us will pull the wires from it. Now we can charge Android phones, old iPads, lightening cable iPhones, old microUSB devices. I think we have only 4 kinds of wires. I'll have to check. We'll see how long this lasts.